Welcome to the April Prize Vault giveaway. 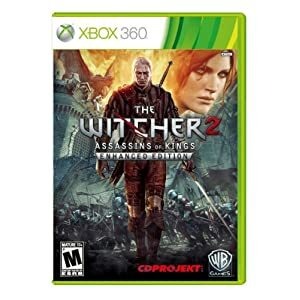 For this featured package, one active forum contributor as voted on by the Game Podunk Moderators will win The Witcher 2: Assassins of Kings for the Xbox 360 along with a number of other random prizes! Yes this looks like a really fantastic game. This is another great selection for the prize vault! Cool contest, but I don't have an Xbox anymore so I can't make use of it, oh well. Ooh, count me in! The Witcher 2 seems really awesome and I've been meaning to get it for some time now. The reviews that I've seen are almost all very positive so that's pretty nice too. Good luck to everyone, and thank you once again for a great Prize Vault selection! Count me in, been waiting for this game. I saw a couple of trailers and it looks great. Too bad the witcher one isn't on console as well. Thanks for having this contest guys. Absolutely LOVE this series, would really love to check out all the additional content they're adding into this edition of the game! Wow your prizes just keep getting better and better !!! Another awesome prize vault giveaway! 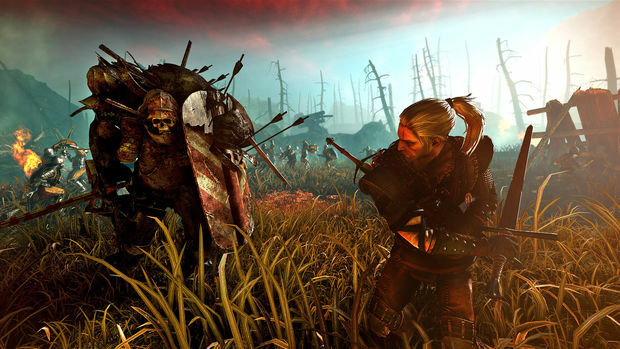 The Witcher 2 Enhanced Edition is going to be an awesome and enjoyable game to whoever gets it. Good luck to all. Yea, I think this game will be so good. It's been hyped up a lot. But I think it'll actually deliver. Good luck to everyone. Gonna have to be more active here. Doing my best to keep up with different forum sites lol. Anyways definitely in for this game. Good luck everyone! Giveaway is now officially over, and the winner has been announced here!